WindClan is a group of cats that live primarily on the open moors. The founding leader, Wind, got her name from being able to run as fast as the wind, so by extension the name was thought to be given to the Clan. WindClan cats are known for their love of open spaces. They live on open fields, or moorland, where they catch their main prey of hares and rabbits. Of all four Clans, they are the least used to wet ground, preferring the grassy ground of the moors, which they sleep on. They do not like to sleep in the shelter of dens because they prefer the fresh air. They are fiercely loyal and tough. They can also be nervous and quick to flee, due to lack of cover on the moor. 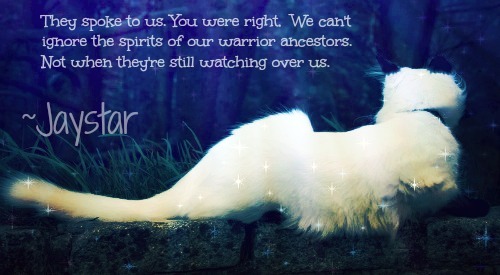 In the old forest home, they took pride in being the closest Clan to the Moonstone, where the leaders and medicine cats went to share tongues with StarClan, and they often find themselves blessed to be the closest Clan to StarClan, both physically and spiritually since they do not live in an environment surrounded by trees or many shrubs that block their view of Silverpelt. They are considered the fastest of the Clan cats, and are considered to be the most quick witted amongst the other Clans. They are also the easiest to be offended and are the least likely to start battles between other Clans. The pelts of WindClan favor shades of gray and brown, perhaps as a natural outgrowth of the camouflage those colors provide. Of all the Clans, they have the deepest knowledge of Twolegs from seeing them on the farms that surround their territory. » Is my Coleus Amboniensis extually a Coleus Amboinicus?